The Norwegian-led Arctic Search and Rescue project will grow networks and capabilities for search-and-rescue and oil-spill response in the Arctic and North Atlantic between 13 nations. A five-year project to improve Arctic emergency response capabilities will be led by a Norwegian agency and funded by the European Union. The Joint Rescue Coordination Center North Norway will lead the ARCSAR (Arctic Search and Rescue) project, a major international network project to improve search and rescue abilities and oil spill protection in the region. The project is funded by the EU’s Horizon 2020 program, which has allocated NOK 35 million (about $4.1 million) for its duration. Thirteen nations and a total of 21 partners will participate in the project. The main goal of the program is to establish an international network consisting of authorities, organizations and frontline actors in the Arctic in order to increase security and to face the challenges created by increased traffic and activity. Growing cruise traffic, petroleum activities and fisheries place heavy demands on both capacity and extent when it comes to search and rescue operations in the High North. 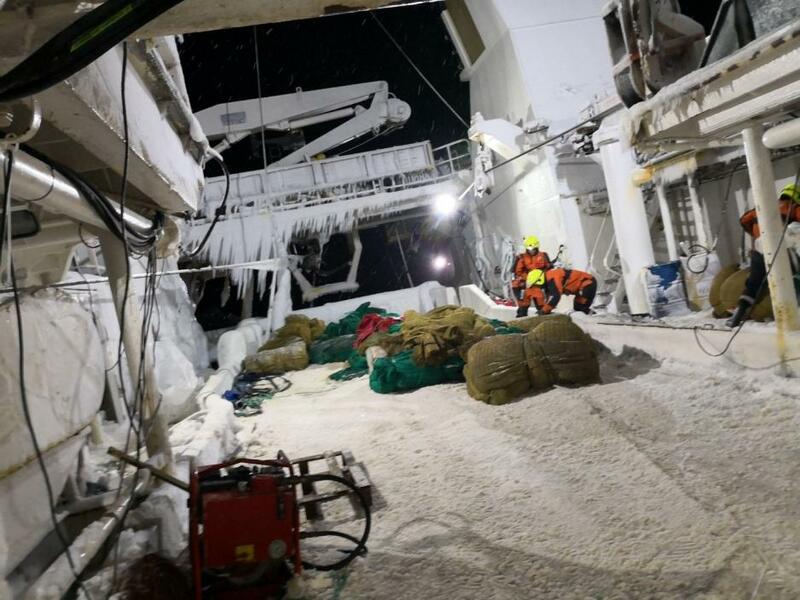 This was fully demonstrated earlier this winter, when the prawn trawler ‘Northguider’ ran aground in the Hinlopen Strait on Svalbard, and later when four people were killed in an avalanche in the Troms mountains on the Norwegian mainland. The JRCC North Norway holds the overall responsibility for coordination of search-and-rescue efforts in the High North, whereas the Norwegian Coastal Administration holds the responsibility for coordinating oil spill protection activities in Norwegian waters. The ARCSAR project aims to boost competence and capacity through closer international cooperation. The 13 participating countries are Iceland, the Faroe Islands, The United Kingdom, Ireland, Italy, the United States, Russia, Germany, Finland, Sweden, New Zealand, Canada and Norway. The project will be launched in Rome in February and will be continued through a series of network gatherings and activities over the following five years. One of the goals listed for the program is the desire to establish and support a new Arctic and North Atlantic network within safety and preparedness. This is also to lead to increased understanding of prioritized areas in safety and emergency preparedness. The project aims to closely monitor developments in innovation and research on safety systems, emergency risk and crisis management, to identify critical obstacles and shortages in capacity, competence and infrastructure, and to reveal shared arenas as well as opportunities for increased joint interaction in emergency situations. The ARCSAR project also aims to stimulate partners to allocate sufficient resources when incidents occur, and to further disseminate the outcomes of the project and activity improvements to relevant end users. According to the information available about the project so far, this will, in turn, lead to tangible evidence of increased awareness level and the visibility of the project’s activities being achieved as a result of the high-profile launch of the ARCSAR network. There will also be an aim of establishing trust within this network among those involved in frontline search-and-rescue efforts in the Arctic and the North Atlantic areas. Achieving better cross-border coordination and interaction between coast guards, rescue coordination centers, other authorities, industrial groups, private operators, academia and volunteer organizations will also be important. It will be worked on during the 19 joint network meetings and through the project’s academic anchoring. The project will evaluate the necessity of a relevant list of immediate initiatives in innovation and knowledge exchange in the Arctic and North Atlantic areas, as well as explore opportunities for the increased sharing of information between and across practice groups through the network’s own exchange facilities, colleague learning and participant forums. During the project, a catalogue containing results from joint exercises, summaries of shared experiences, network meetings and various case studies conducted during the project will be produced. Participants in this new network project include coast guards, joint rescue coordination centers, universities and cruise operators.